Marjorie ‘Helen’ Chestnut, 81, of Odon, Indiana, passed away surrounded by family on Friday, January 25, 2019 at Washington, Indiana. She was born on October 5, 1937 in Daviess County, Indiana to Aldus and Vivian Ruth (Kirk) Chestnut. Helen married Elmer Delbert Chestnut on June 12, 1955. Helen was a member of the Shiloh Church of God and the Odon Eastern Star. She retired from RCA in 1992. Helen enjoyed reading, cooking and loved spending time with the grandkids. Family left behind to cherish the memory of Helen include: three sons, Joseph A. (Barbara) Chestnut, Benjamin R. (Becky) Chestnut, both of Odon and Ken (Lisa) Chestnut of Loogootee; grandchildren, Jessica (Chris) Miller, Joshua (Emily) Chestnut, Daniel (Missy) Chestnut, Sarah Chestnut, Annie (Adam) Wintergerst, Krystal Chestnut, Ruby Chestnut, Elle Chestnut, Josiah Chestnut and Derek Chestnut; great-grandchildren, Scarlett, Jackson and Lincoln Wintergerst, Clara Miller, Zoe and Zabrina Chestnut and Kinze Chestnut; three sisters, Vivian A. Chestnut of Bloomington, Loretta K. Byrer of Odon and Vonda French of Terre Haute. Helen was preceded in death by: her parents; her husband, Elmer Chestnut and brother Lowell ‘Bood’ Chestnut. Funeral services are scheduled for 11:00 AM on Friday, February 1, 2019 at Meng Family Funeral Home in Odon with Bro. Stephen Sims and Chris Miller officiating. 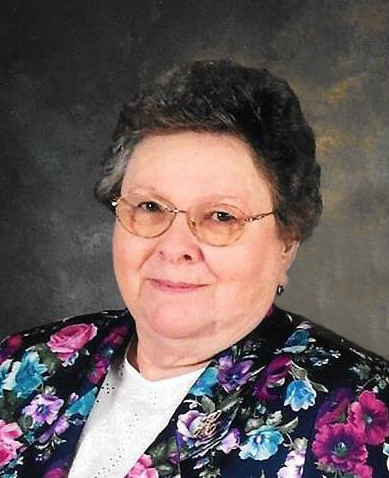 Helen will be laid to rest in Walnut Hill Cemetery in Odon. Family and friends may call from 2:00 PM until 8:00 PM on Thursday, January 31 and from 9:00 AM until the time of service at 11:00 AM on Friday, February 1 at the funeral home. Memorial contributions may be made to the Shiloh Church of God. Envelopes will be available at the funeral home.